Be the first to share your favorite memory, photo or story of Pandeli. This memorial page is dedicated for family, friends and future generations to celebrate the life of their loved one. Dr. Pandeli “Lee” Durbetaki, 90, of Sandy Springs, Georgia passed away on Wednesday, March 27, 2019. He was born on May 31, 1928 in Ortakoy, a suburb of Istanbul, Turkey to John Antony and Angeliki (Vidalis) Durbetaki. He immigrated to the United States in 1952 to continue his studies and married Elisabeth (Megerle) in 1954. Dr. Durbetaki earned his B.S.M.E. degree from Robert College Engineering School in Istanbul, Turkey, in 1951. He earned his Master's degree from the University of Rochester in 1954 and his PhD from Michigan State University in 1964, both in mechanical engineering. He was on the faculty of the University of Rochester from 1954-1960, Michigan State University from 1960-1964, and joined the faculty of the Georgia Institute of Technology in 1964. Dr. Durbetaki was a professor emeritus at the George W. Woodruff School of Mechanical Engineering at the Georgia Institute of Technology (Georgia Tech), where he retired in 1995. He conducted research primarily in the fields of stratified charge operation of spark ignition engines, irreversible thermodynamics, and homogeneous and heterogeneous ignition of fuels. He consulted on problems related to the flammability of carpets, injury from tar explosion, fire hazard criteria for noise control products in underground coal mines, manufacture of roofing material, and design and testing of traction-type transmission. Additionally, at Georgia Tech, he directed the research of 54 graduate students; authored or co-authored more than 100 journal publications, conference papers, and research reports; and was a member of the team at Georgia Tech that engineered the 1996 Olympic relay torch. Dr. Durbetaki was named Engineer of the Year in Education in 1985 by the Atlanta Section of the American Society of Mechanical Engineers (ASME), and in 1991 was named Engineer of the Year in Education by Metro-Atlanta Engineers’ Week. He was selected as one of the Top Ten Profs in 1981 by the student section of ASME at Georgia Tech and received recognition in 1984 for Outstanding Service. In 1987, he was awarded the American Society of Engineering Education, Middle-Atlantic AT&T Foundation Award for Excellence in Instruction of Engineering Students, and the SAE Ralph R. Teetor Educational Award. In 2010, Michigan State University recognized him with the Mechanical Engineering Distinguished Alumni Award. In 2012, he was awarded the Distinguished Alumnus Award from the Hajim School of Engineering of the University of Rochester. 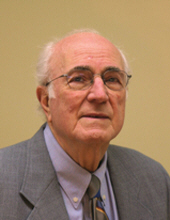 Dr. Durbetaki was a member of ASME since 1953 and was elected Fellow in 1987 and Life Fellow in 1993. He has served the Atlanta Section of ASME as treasurer, vice chairman, program chairman, and chairman. He has served as assistant vice president for professional development on the board of ASME Region XI and as vice president of ASME Region XI. He was a member and treasurer of the ASME Old Guard Committee. Dr. Durbetaki has been a long standing member of the American Hellenic Educational Progressive Association (AHEPA), active at the local Chapter No.1, District No. 1, and national AHEPA. He has served at many levels, including as District Governor of District No. 1 and Director and Chair of AHEPA Educational Foundation (National). He was a founding director of the AHEPA Mother Lodge Chapter No. 1 Educational Fund. Dr. Durbetaki was a founding director and served as Treasurer of the AHEPA Centennial Foundation, Inc., the entity responsible in 1996 for the building and dedication of the Tribute sculpture (to Olympism), which rests in Atlanta’s Centennial Olympic Park, and the George C. Marshall Sculpture, that is at the U.S. Embassy in Athens, Greece. Dr. Durbetaki is survived by his wife Elisabeth, his children John (Jeanne), Peter, and Christina, grandchildren Lee (Anne) and Mark, and great grandchildren Felicity, Pierson, and Owen. He is predeceased by his parents and his older brother. To send flowers or a remembrance gift to the family of Pandeli "Lee" Durbetaki, please visit our Tribute Store. Held in visitation room 9. "Email Address" would like to share the life celebration of Pandeli "Lee" Durbetaki. Click on the "link" to go to share a favorite memory or leave a condolence message for the family.